Bestselling thriller author Jeffery Deaver will discuss writing and plot 7 p.m. Tuesday, Feb. 21, at the Charlotte Writers' Club's monthly meeting at the Queens University Conference Center, 2229 Tyvola Road. The event is free and open to the public. Deaver, who lives in Chapel Hill, has written 27 novels, including, most recently, "Carte Blanche," the latest James Bond installment. Deaver's novel "The Bone Collector" was made into a movie starring Denzel Washington and Angelina Jolie. In his next novel, "XO," out in June, heroine Kathryn Dance tries to stop a stalker from destroying a beautiful country singer. 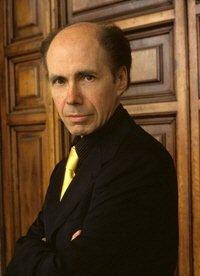 Jeffery Deaver is one of the best—I love his books!